In this March 4, 2018 New York Times Sunday Review opinion piece, E.O. Wilson explains why species are the fundamental level of study that must be used to identify conservation priorities, and how the Half-Earth Project map is leading the way. Land and marine areas that now have a protected status. 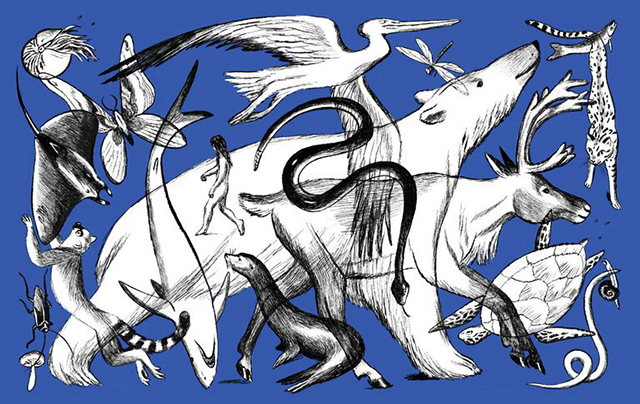 By The New York Times | Sources: UNEP-WCMC and IUCN (2017); The World Database on Protected Areas(WDPA, Cambridge, UK: UNEP-WCMC and IUCN). 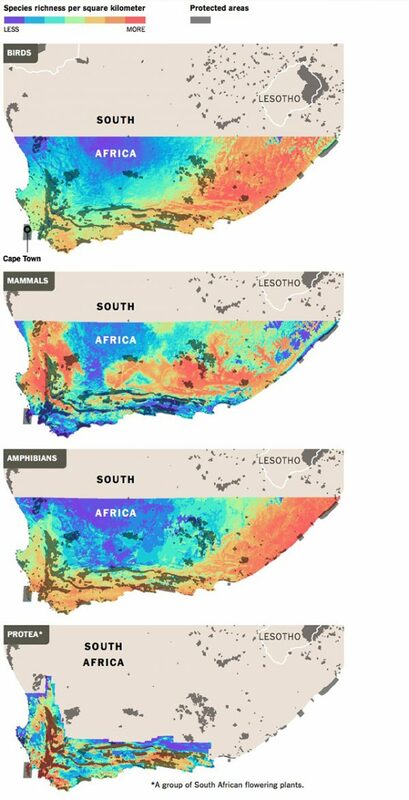 Portions of South Africa, shown below in color, have been mapped to show density of several kinds of plants and animals. The project aims to map the planet in the same way, as well as for species rarity, to identify the areas most in need of protection. Edward O. Wilson is a university research professor emeritus and an honorary curator of entomology at Harvard, and a scientist on the Half-Earth Project.